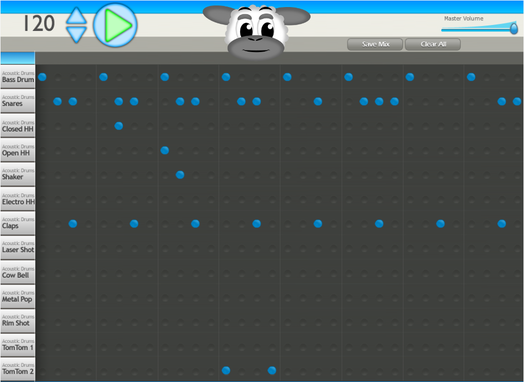 Click on the little circles to make that instrument play or not play on that beat. Change how fast the beat is going by clicking the blue up and down arrows. Click the play button to play the beat or to stop it. Change the volume with the slider to the right.